Iran Freedom Convention for Human Rights and Democracy was held on Saturday, May 5, 2018, in Washington, D.C. Delegations representing Iranian communities, youths and women attended the convention from various states. ‌A number of prominent US dignitaries and officials attended and addressed the convention, as well. From afar, but among you in spirit, I salute you-- all of you who have come to Washington from different states across America--on your magnificent convention. You demonstrate to the world the Iranian people’s resolve to establish a free, democratic, and non-nuclear Iran. At a time when a widespread, far-reaching protest movement, led by Iran’s valiant women, youth, and rebel units, has hemmed in the ruling theocracy, I would like to take this opportunity to say a few things about the correct policy on Iran. 1. The Iranian people, who have taken part in hundreds of protests and uprisings since December, seek the overthrow of the clerical regime in its entirety. 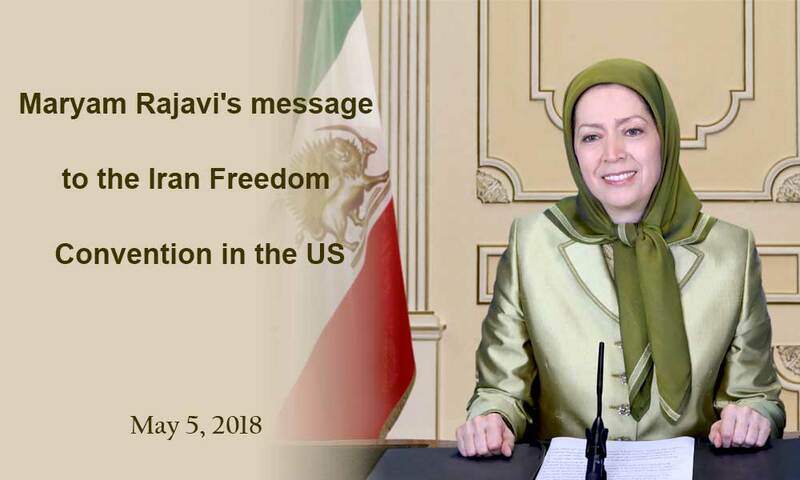 They are calling on the international community, in particular the West, to support their uprising for the overthrow of the Iranian regime. 2. We emphatically urge the world community not to remain silent vis-à-vis the persistent crimes perpetrated by a regime which holds the world record for per capita executions. We call on them, by adopting punitive measures, to compel the mullahs to release those arrested in the recent uprisings and protests, including hundreds of our Arab compatriots in Khuzestan Province and a large number of Kurds in western Iran, and to end the barbaric persecution of farmers in Isfahan. 4. 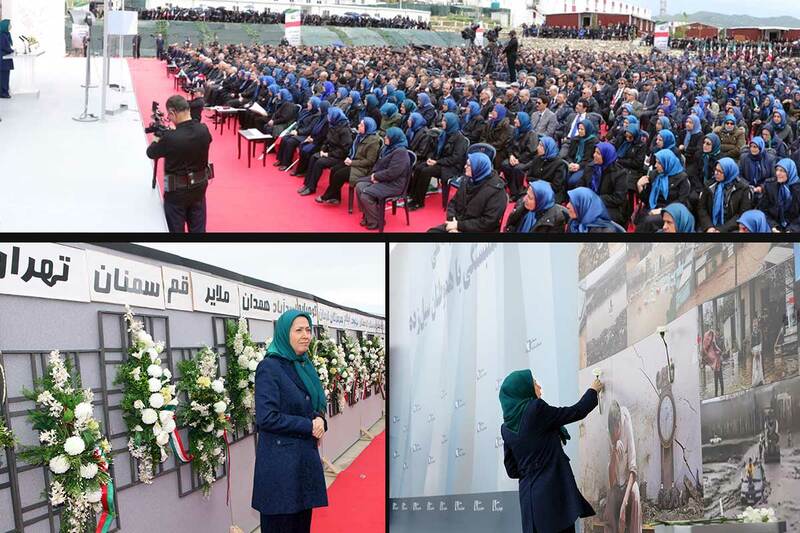 The experience of the past three years has confirmed that the mullahs took advantage of the concessions in the JCPOA to suppress the people of Iran and massacre the people of Syria. As such, we emphatically demand that western countries adopt a policy that would eliminate the entire infrastructure of the regime’s nuclear program and, through unconditional inspections, prevent, once and for all, the regime from engaging in any nuclear-related activity, testing or research, including enrichment. 5. Dismantling the regime’s nuclear weapons and ballistic missile programs, expelling the Revolutionary Guards from other countries in the region, and compelling the regime to stop torture and execution should be addressed in a wholistic approach. Western countries must not ignore any of these aspects. 6. To contain the criminal and belligerent activities of the mullahs’ theocracy, we emphasize the need to cut off access by the regime, especially the Revolutionary Guards, to the international banking system. 7. 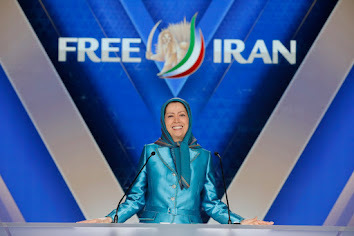 Recognizing the National Council of Resistance of Iran as the democratic alternative to the clerical regime is a necessary step to compensate for the appeasement policy pursued in recent decades that prolonged the rule of the mullahs. At no time has the regime been so engulfed in crisis, and at no time has the time been so ripe organize and expand the uprising. It is time for you to use every opportunity and every possibility to support the Iranian people’s uprising to overthrow the regime. Rise up in response to this urgent duty, by informing the Iranian exile community, by neutralizing the lobby and proponents of the religious dictatorship, and by stepping up your activities to convey the cries of the Iranian people to the peoples of the world. Our time is a time for change, and any step in this direction is a step toward the victory of freedom and the liberation of our enchained Iran.